My first reaction to the movie is that I think the editing leaves very little breathing room for me to take in some of the moments of the movie. The whole thing moves along rather quickly. I would much rather sit through a longer movie that has a more natural flow. But since long movies are frowned upon, I would settle for a tighter storyline. A few green screen shots are painfully noticeable, in contrast to the overall beauty and realism of the movie. Aslan is astonishingly real and surprisingly emotive. The visual nuances and sheer realistic look of him is an amazing accomplishment. And the wolves are genuinely frightening. The main characters in this film are cast well too. The children look like family and truly they look and sound very much like they did in my head when I first read the book almost twenty years ago. Lucy’s face speaks volumes. And Peter’s transformation from big brother to high king is stirring. Susan shows us that you can have a teenaged girl in a major motion picture who radiates innocence, grace and beauty, rather than having to act grown-up and be boy-crazy (which is an ironically brilliant set-up for what’s to come). Even Mr. Tumnus manages to pull off such endearing warmth, while Jadis exudes cold heartlessness throughout. Her battle scenes, though threatening to be over-the-top, are really cool! I have two complaints. Though I have known and enjoyed the witch in other movies, her character transcends her previous roles and thus relieves her of that baggage. Not so with her sidekick dwarf, who recently played Mr. Wonka’s right hand men and also has appeared in shows such as The X-Files. Even in costume and in character he seems like a transplant from another story. And the voice behind Aslan has been so prominent in so many movies lately (particularly Batman and Star Wars, which cater to the same crowd) that it’s hard to take him to be Aslan and not Liam, even though he does a remarkable job. When the acting does fall short (seems cheesy or contrived) I attribute that to the director, not the cast. Still, his vision for the film is grand, weaving in warm-hearted humor with royal magnificence. The music is particularly rousing, as much a character in the film as any other. Every emotion Lewis’ words accomplish in the book through description, the score achieves sonically here. Only a couple of times does the music seem disjointed from what we see on the screen. And what we see is a rather impressive world. 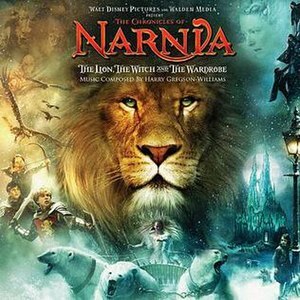 But Narnia visually falls short of being a unified whole, focusing more on isolated scenes than on their continuity. This is disappointing since one glance at the map provided in the book gives the reader an apt sense of where places are in relation to one another. You would think a two hour movie could at least accomplish that. But that is a small matter, inconsequential. These are all the details. The meat of the movie is in its themes. Of course, there are the themes of family, duty, responsibility, kindness, grace, evil (notice how it is evil to have it be always winter and never Christmas! ), tradition, belief, truth, honor, selfishness, and sacrifice, to name a few. But what stands out to me most, that may have never occurred to me before, is the story’s sense of calling. Here are four siblings drawn into another world to make it their own and serve it as royalty. Certainly Aslan drew them there. The prophecy compelled them. Their circumstances convinced them. But they have, at many moments along the way, the ability to walk away and resume life as usual. In fact, that would seem the sensible—and responsible—thing to do! But they live up to their calling, because it is right. Aslan, the great lion, calls them and chooses them—he does not coerce them—to be kings and queens, gracious rulers and fierce warriors. He simply expects great things of them, inspires noble hearts in them, and they can do nothing other than love Him and obey. This is a beautiful illustration of what I call the dance of wills. Aslan chooses them. They choose Aslan.